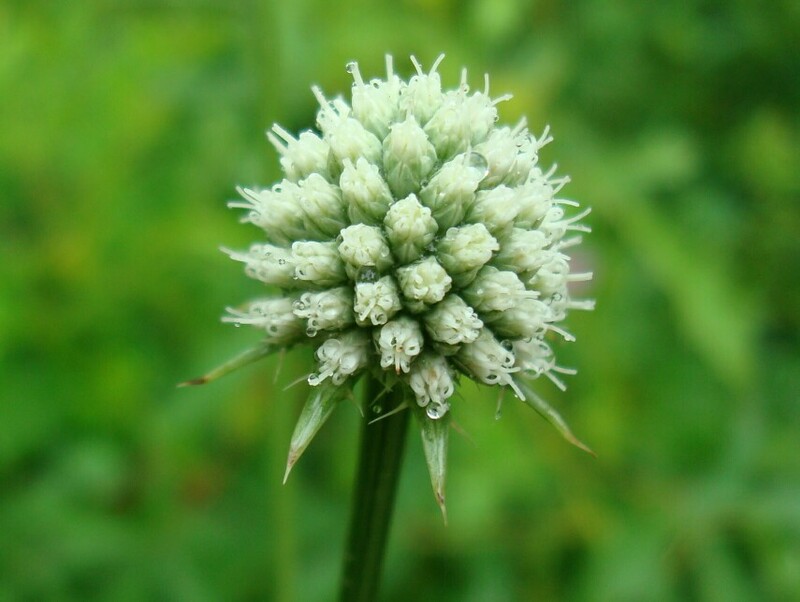 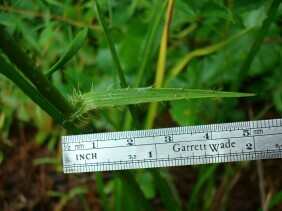 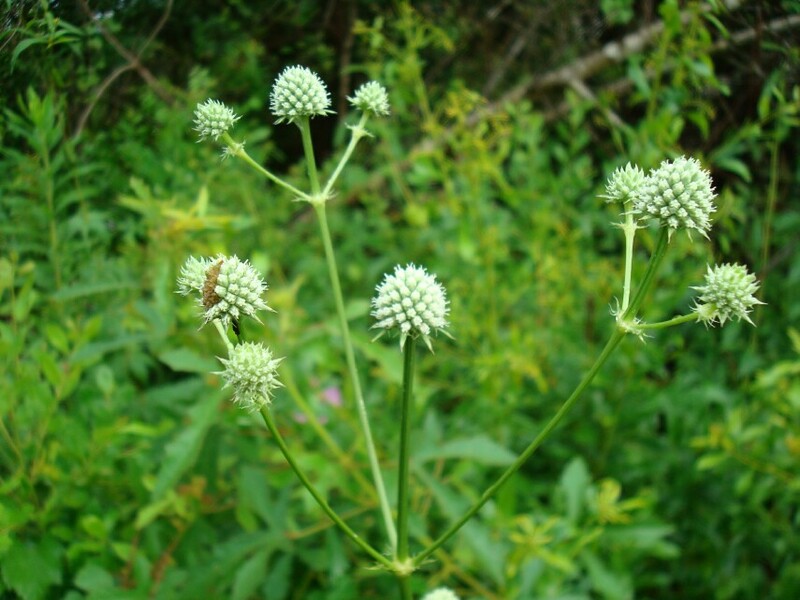 Rattlesnake Master is a member of the Carrot family. The intriguing common name of this plant refers to a belief that its leaves or roots were effective against snake venom. 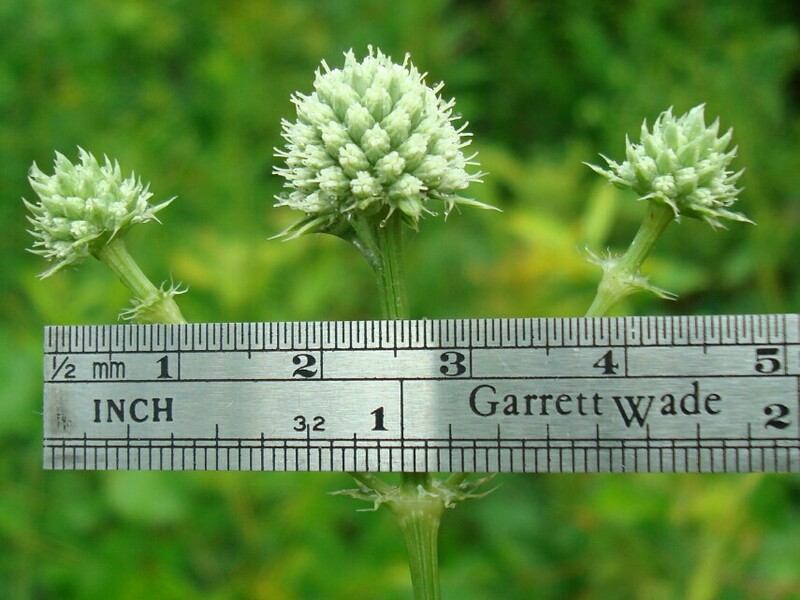 This idea, probably derived from Native Americans, is not supported by research. 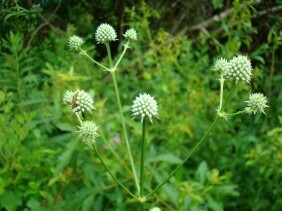 These plants were photographed near Todd Acres Road, in South Mobile County, Alabama, in June.